Product prices and availability are accurate as of 2019-04-20 15:23:12 EDT and are subject to change. Any price and availability information displayed on http://www.amazon.com/ at the time of purchase will apply to the purchase of this product. Enjoy the warmth of a classic fireplace without the hassle of a real one with the Touchstone Forte In-Wall Recessed Electric Fireplace! 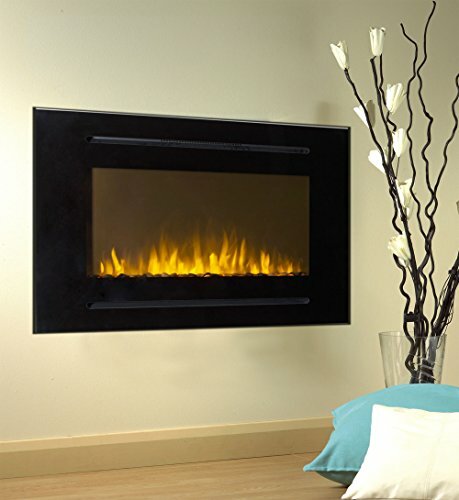 This modern electric fireplacehas realistic flames that rise from a white stone base. 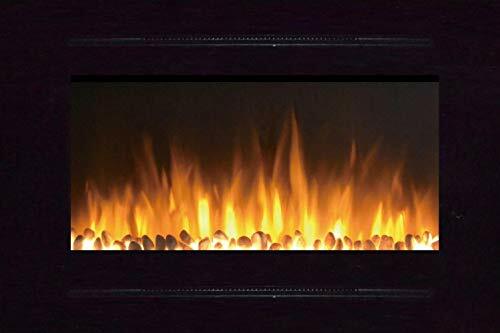 Designed for recessed mounting on walls, the fiery hearth lies behind durable tempered glass with a black frame that adds a sleek and cozy feel to any room, making it a functional piece of décor for a living space, personal library, or bedroom. This 40" wide, 28" high fireplace is specially designed for recessed wall placement, but it can also be mounted. It boasts an elegant black frame with a contemporary look. The unit can be installed in living rooms, bedrooms, offices, and more. 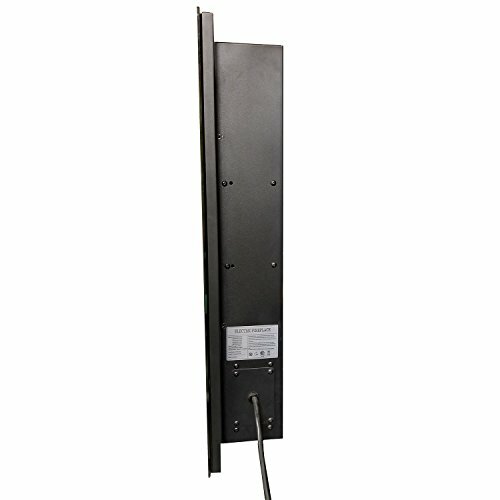 The unit operates at 1,500 watts with a voltage of 120. A built-in timer allows you to shut the unit off after a set period, from 30 minutes to 7.5 hours. 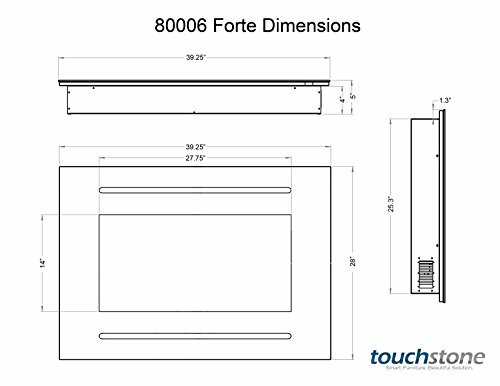 The Touchstone In-Wall Recessed Electric Fireplace comes with an easy-to-follow instruction manual to guide owners through the installation of their unit. It should be positioned at least 12" below the ceiling.This electric fireplace is best used as a supplementary source of heat, and its multiple heat settings are ideal for a wide variety of climates.